The 4 circuit Ride Controller Control Center & mobile app provide complete wireless control for your vehicle without any physical switches on your vehicle. 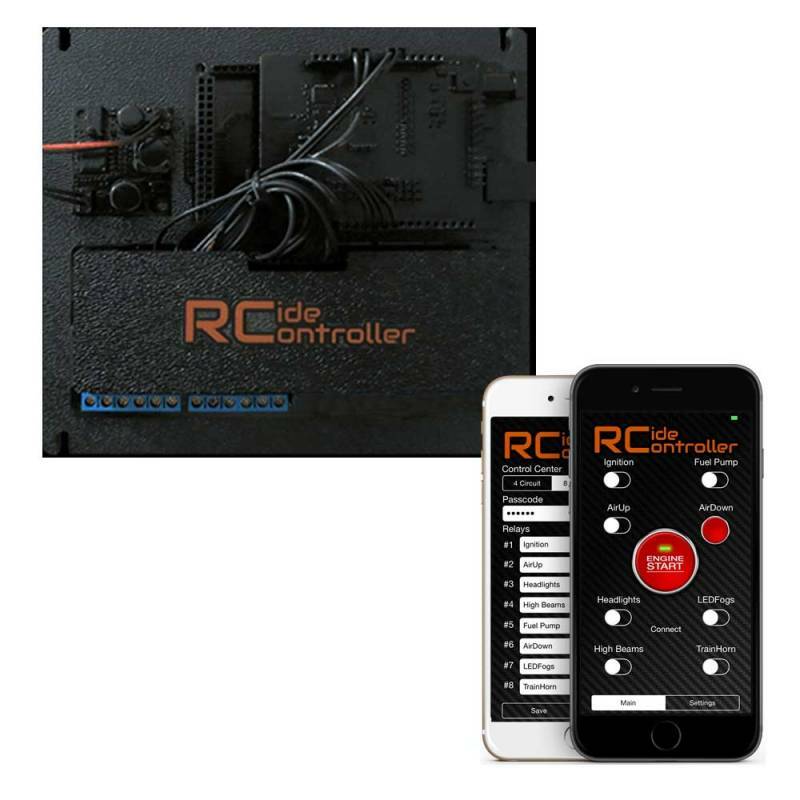 The Control Center Module has up to 16 individual 10 AMP relays depending on the model and is one of the first wireless relay controllers to ship with a customizable Apple iOS and Android app. If you are skilled with wiring this should be no problem for you to install. Otherwise any automotive or custom shop will be able to install following our basic installation documentation. RideController supports portrait and landscape modes on all the popular Android Tablets and iPad Models released within the past two years. This makes it very simple to wire up a Control Center, then mount an iPad somewhere in your interior to wirelessly manage all your 12V accessories.